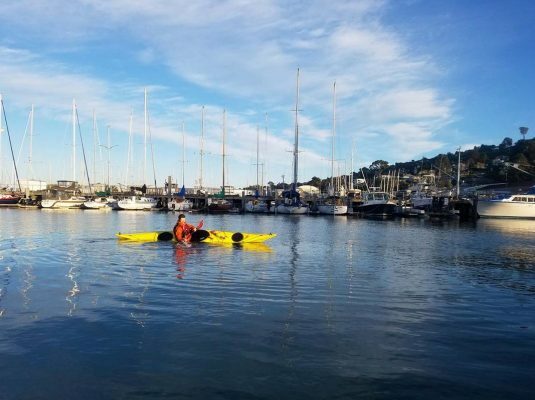 Paddling your sea kayak in the open water can be more difficult than paddling along a coast. 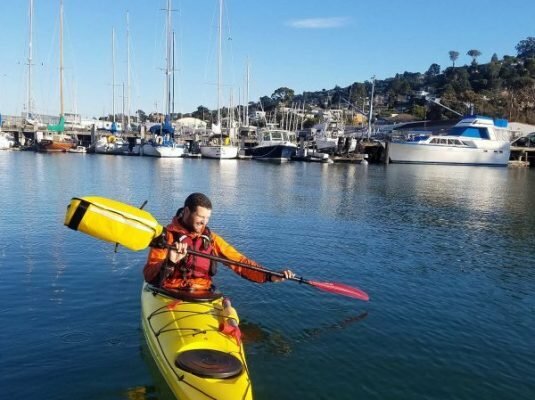 The intermediate paddling class is supposed to prepare you for your first major crossing of open water, a short paddle across the bay to Angel Island. To get you ready, instructors will work on fine-tuning your paddle strokes and teaching you advanced boat-maneuvering skills. You will practice self-rescues and assisted rescues as well. Once you have finished the class, you can take the Angel Island Skills Class. The class runs from 9am-1pm at Sea Trek’s Bay Model location. See the calendar for specific dates. 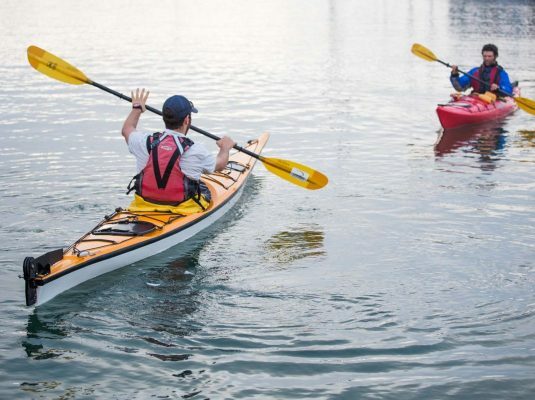 Wetsuit, paddle jacket, and kayaking equipment are all included in the cost of the class. To reserve your spot today, contact us online or at (415) 332-8494.